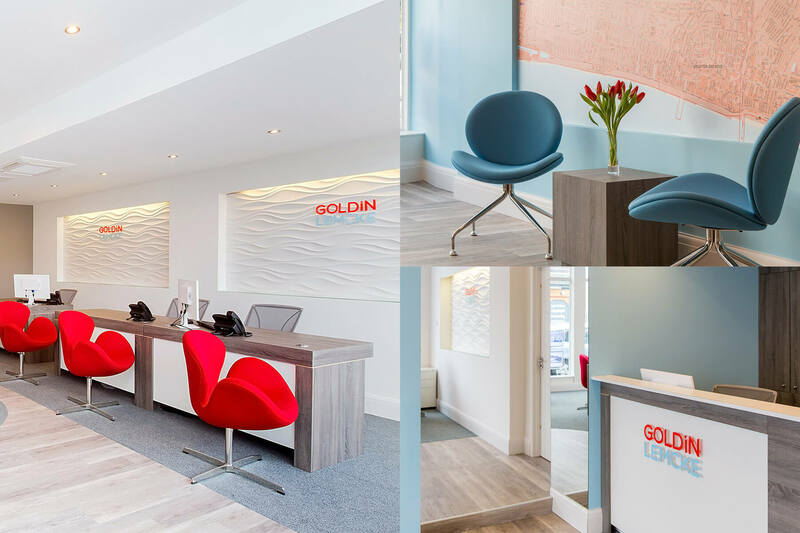 We combine our creative skill and operational experience to deliver practical, functional and beautiful workspaces that reflect your brand identity and core values throughout. Our team work with new and established businesses, updating and rejuvenating existing workspaces as needed to meet changing requirements and help expending businesses maintain their competitive edge. Our professional interior design team develop workspace concepts based on innovative uses of lighting, design and colour. We are able to tailor offices according to each client’s individual needs and goals. Should an office be visible from street level, for example, the design would centre around enhancing street presence; the considered use of lighting, colour and bold design ensuring that the office is visible at night, as well as in daylight. We would focus our attentions on creating interest and impact in the windows, to attract and hold prospective clients’ attention. At Pfeiffer Design, we utilise professional design techniques, colour and lighting when it comes to the creation of workspaces, in order to create a more stimulating and inspiring environment for directors, staff and clients alike.